The violence in this film is gratuitous and at times, so gruesome that one has to look away. In a normal circumstance, I probably would not have viewed this film. However, if you added the following together: Bence's recommendation, Lee Byung-hun, Choi Min-sik and Kim Ji-woon behind the camera and it warranted a gander. Frankly, I am glad that I had as it would be a disservice to simply ignore this film because of its violent content. Simply, it is much more than the films that trade gore for story or acting, I Saw The Devil uses these elements to overshadow the violence. The plot for I Saw The Devil is simple enough. 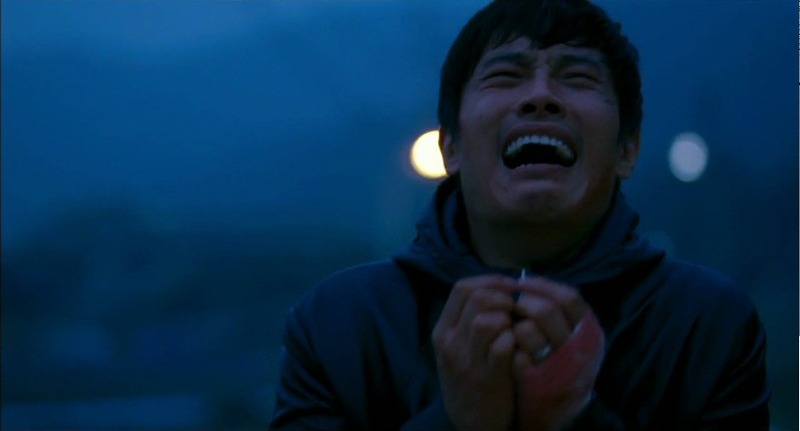 It opens with Soo-Hyun's fiancée stranded on the side of the road with a flat tire. Kyung-chul (Choi Min-sik) offers his assistance but it rebuked because she has contacted roadside assistance. He bids her a good night and then returns to bludgeon her to death. Once her head is found, Soo-Hyun (a secret agent) played to perfection by Lee Byung-hun, decides to take the matter into his own hands by locating and subjecting Kyung-chul to a series of beatings and tortures. What begins as simple revenge for the loss of his future wife becomes a mental battle with a vicious serial killer, one which will end with the death of either Kyung-chul or Soo-Hyun. For some, the relative simplicity of the plot or the graphic nature of the violence might be a turn-off. What makes I Saw The Devil a worthwhile film to watch is the acting and the production aspects (namely, the cinematography and editing) associated with it. Choi Min-sik (of Oldboy fame) returns to Korean cinema with this film (after a self-imposed exile) and undertakes a challenging role. Challenging in the realm that viewer is intrigued by the character itself rather simply writing him off as psychotic (Which he is). The main draw of this film is Lee Byung-hun, who has one of the best performances of the year and ultimately will not get any recognition for it (granted, the film was released last year in Korea). He brings a lot of emotion into a role that could have been played like all of the revenge roles we have seen a million times before. 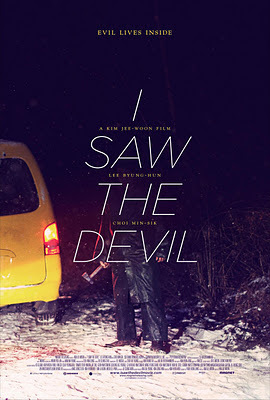 I Saw The Devil is a film that excels on its technical merits as well. The cinematography and movement of the camera (especially in confined spaces) is nothing short of extraordinary. If the cinematographer, Lee Mo-gae is singled out for praise then one must extol the seamless and superior editing of Nam Na-young. It is not a surprise that she received an Asian Film Award for her work on this film. The acting, screenwriting and technical aspects are what make this film memorable especially in a world where films containing hyper-gore are a dime a dozen. These were the centerpieces of this film and not once was there a reliance on it. Had there been, it would doubtful that this review would have been complimentary. I Saw The Devil is one sad film and the end scene embodies this notion. Not only is it gut wrenching, it was one of the best acted scenes that I saw this past year.